This was the treat box I made for my Stamp Camp members. 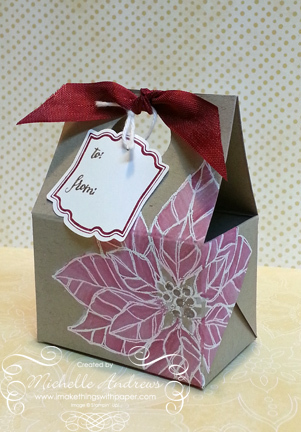 Thanks to Dawn Olchefske for the tutorial for the box. Click HERE for her video tutorial. 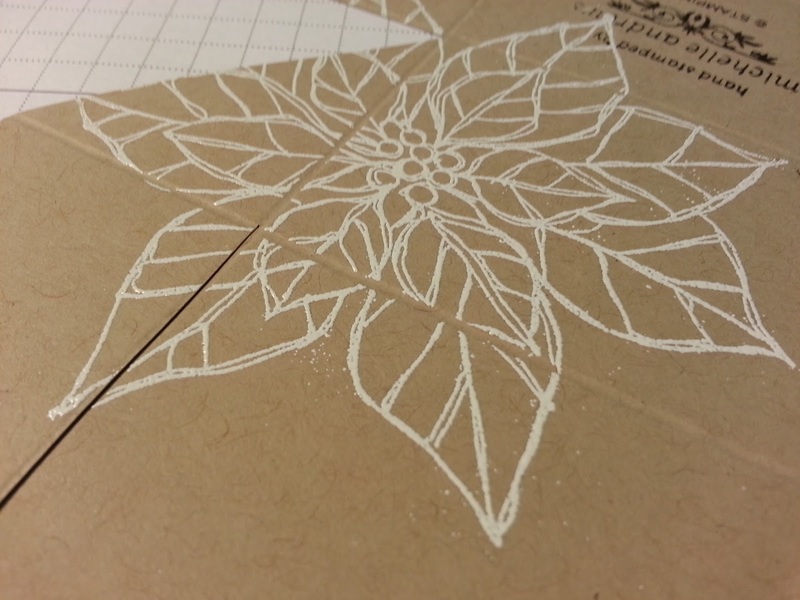 Stamp your design in versamark and then heat emboss with white detail embossing powder. 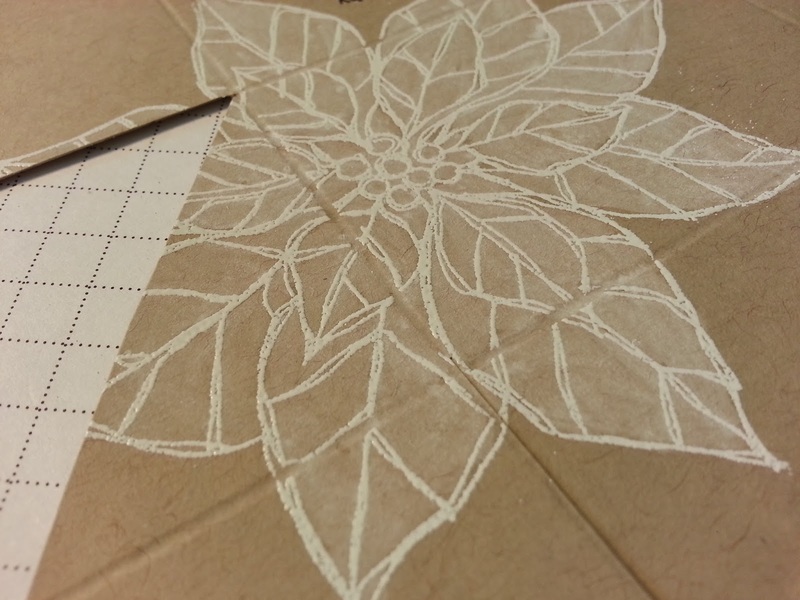 Use white craft ink with your aqua painter or use a small paintbrush. Mix the ink with a little water. 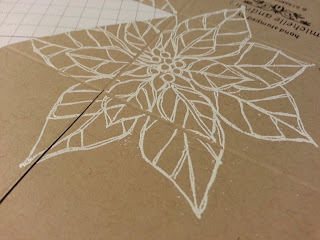 Paint the design completely and let to dry. 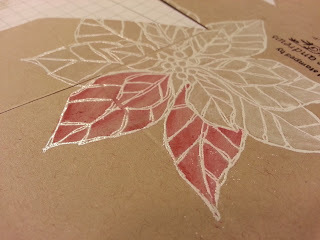 Using a blender pen and ink, paint over the whitewashed parts shading as desired. You can either use a teeny bit of ink from a reinker or smooch some ink from your inkpad into the lid of your stamp pad. 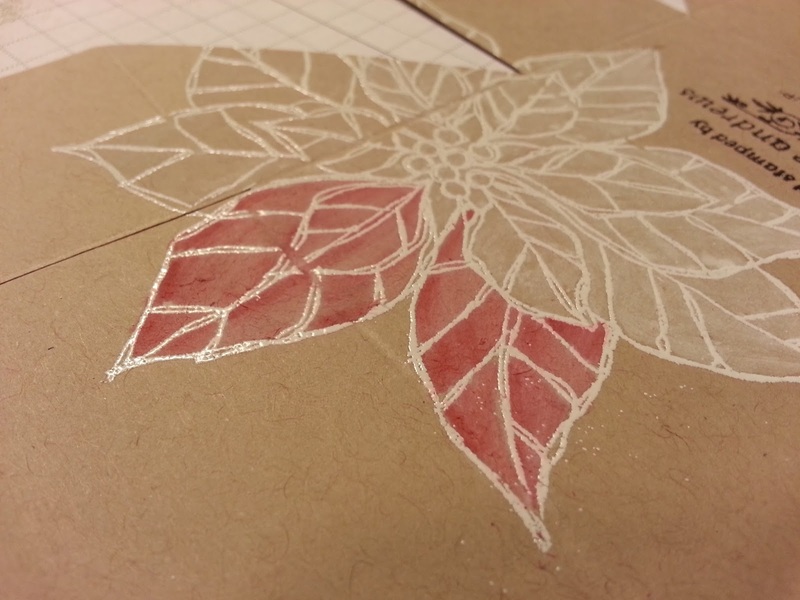 Use a soft cloth or dry baby wipe to wipe any ink off the embossed lines. And here is the card we made. 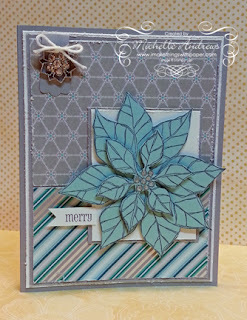 The stamp set 'Joyful Christmas' was used for both these projects.